Here comes Peugeot’s next big sedan. A classic four-door, it’s the same size as a Camry, but it won’t be sold in the United States. The car is made and designed for Europe first. 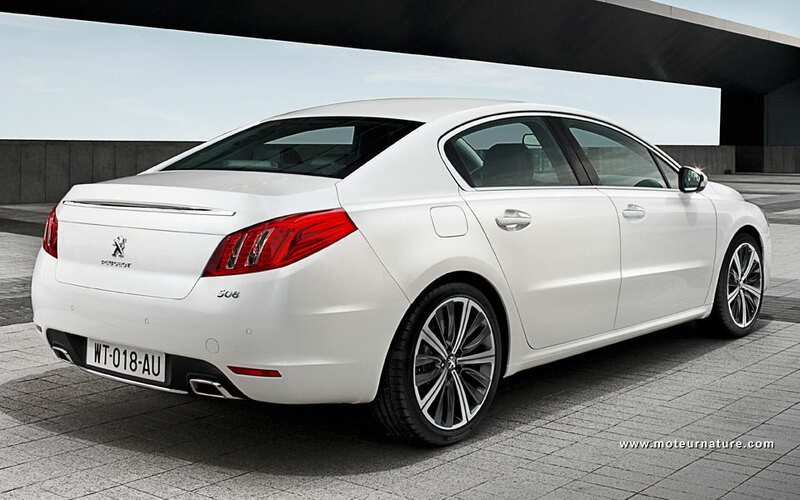 There will also be a chinese version, built in China, but if Peugeot would choose to make its reentry in the US, this 508 would be a very nice model to start with, and here’s why. 189-inches long, the 508 is the perfect size for a family car. It will come with the latest generation of downsized engines, with its main gasoline engine being a 1.6-liter inline-four. With direct injection and turbocharging, it gives 150-hp to the front wheels. I understand it doesn’t sound like much, but we’re not talking about sports car. This is the bread and butter family car. The french expect it with a very clean body design, a smooth ride and most important, it has to be cheap to run. With 178-lbs/ft of torque at a low 1400-rpm, the performance will be adequate, and there are the diesels if you want more. 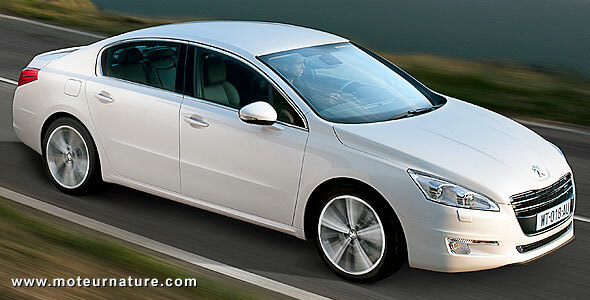 Diesels are still rare in America, but they get more than 75% of the market in Europe for family sedans like this one. The biggest seller will be the 2-liter HDI turbo-diesel, 140 or 163-hp, with a strong 250-lbs/ft of torque. We expect a bit later a 200-hp 2.2-liter, but we’ll rather wait for the hybrid model. With the Hybrid4 technology that Peugeot has already shown on several concepts, it will have 4-wheel drive. It’s a pretty clever architecture, as the front end is similar to the non-hybrid version. The hybrid parts are 2-small electric motors that go inside the rear wheels, with the tricky parts being the electronic brain that controls both rear motors and the front engine. With the 163-hp diesel engine, total power available should be 200-hp, and the car will have the ability to drive in an electric mode. 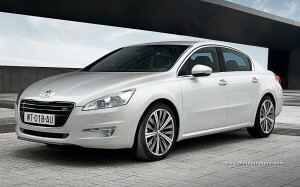 This with the frugality of the diesel engine shall make the Peugeot 508 Hybrid4 a champion at the pump. Peugeot’s goal is that the car will require less than 4-liter per 100-km, which translates into 58-MPG. That is on the official european test measures, which are a bit less stringent than the EPA tests. But even if they are 10% optimistic, a 52-MPG rating for a Camry-sized sedan is nothing but excellent! The Peugeot 508 will be introduced at the Paris motor show this October, and it will be available in Europe early next year, and in China a bit later.